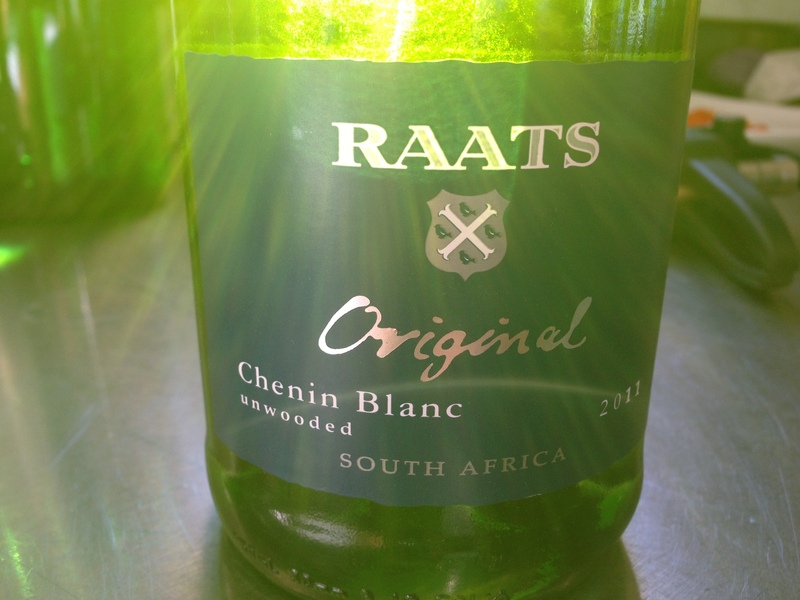 I recently stumbled upon this awesome South African Chenin Blanc completely by accident. I was looking for some South African whites to try and noticed this label said “Unwooded” which means it was aged using steel tanks instead of oak barrels. This technique is used to preserve the wine’s “original”, vibrant, fresh fruit character making the flavors light, refreshing and smooth. I have tried a lot of unwooded/unoaked wines from Chardonnay to Pinot Noir and I have yet to be disappointed, so I thought I’d give it a shot! The Chenin Blanc grape originated in the Loire valley of France but is thought to be one of the first grapes grown in South Africa around 1655 (it is now the most widely planted grape in South Africa.) Due to the grapes high acidity, it can be used to make a wide variety of wines from sparkling to desert wine. This Chenin Blanc is rich in citrus flavors, with hints of pineapple, honeysuckle and orange blossom with a bright, tangy minerality. Due to the range of flavors it pairs well with a variety of foods and makes for a great everyday summer white, especially for the price! Tasting Notes: Beautifully structured on the palate, bursting with fresh yellow and white fruit flavors. The wine finishes subtly, yet distinct with great minerality and citrus flavors. Food Pairing: An easy-to-pair wine since it has a wide flavor profile, but they especially recommend it with curry or similar spicy dishes as well as sushi and oysters. This entry was posted in Items of Interest, Wine and tagged Chenin Blanc, White Wine, Wine by skibootsinthekitchen. Bookmark the permalink.